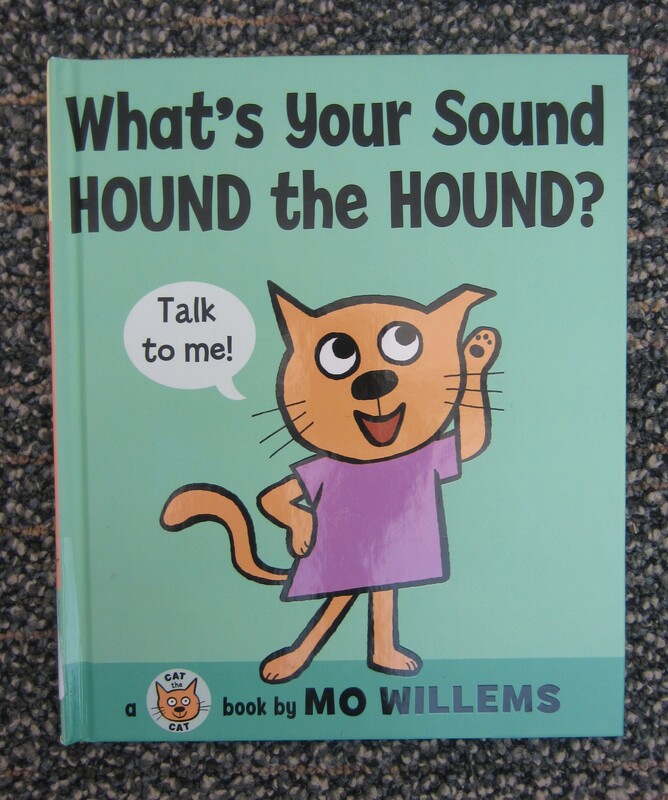 Continuing on the theme of Mo Willems books for a music lesson, I found the book, What’s Your Sound, Hound the Hound? Cat asks every animal what is their sound and they respond: Cow moos, Chick peeps, and Hound woofs. 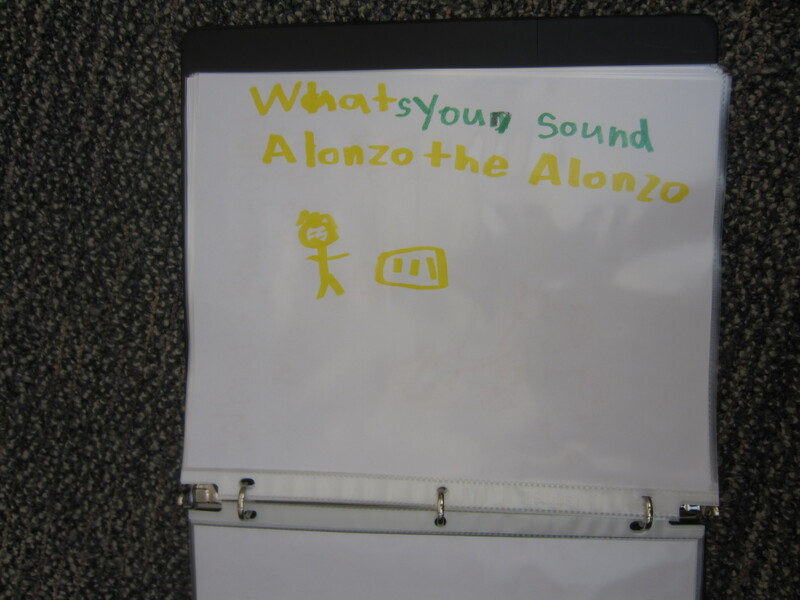 After reading this book with the Penguins class, we extended the book and made our own pages where students decided what is their sound. 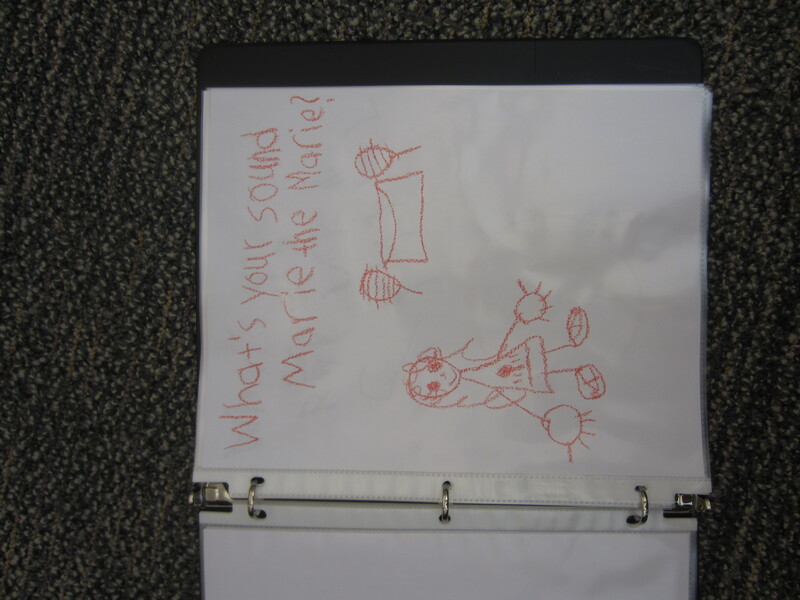 Each student wrote “What’s you sound, (name) the (name)?” on their page, drew a picture of themselves and an instrument. I told the students that they could pick any instrument in the music room to represent their sound and something they want to play. I gave a quick list of some of the instruments students could choose: piano, keyboard, guitar, xylophone, drums, gong, bells, cymbals, shakers, sticks, and trumpet. 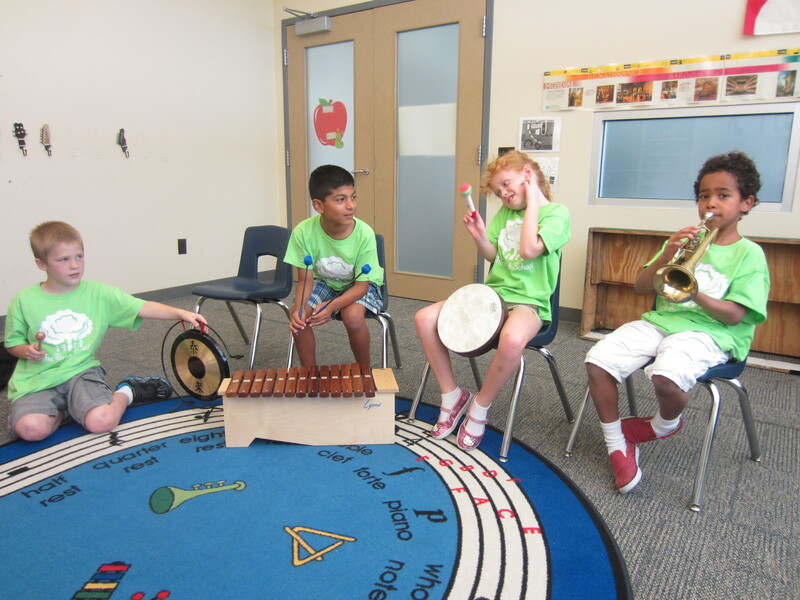 They were all very excited about the instrument and many knew which one they wanted to play. 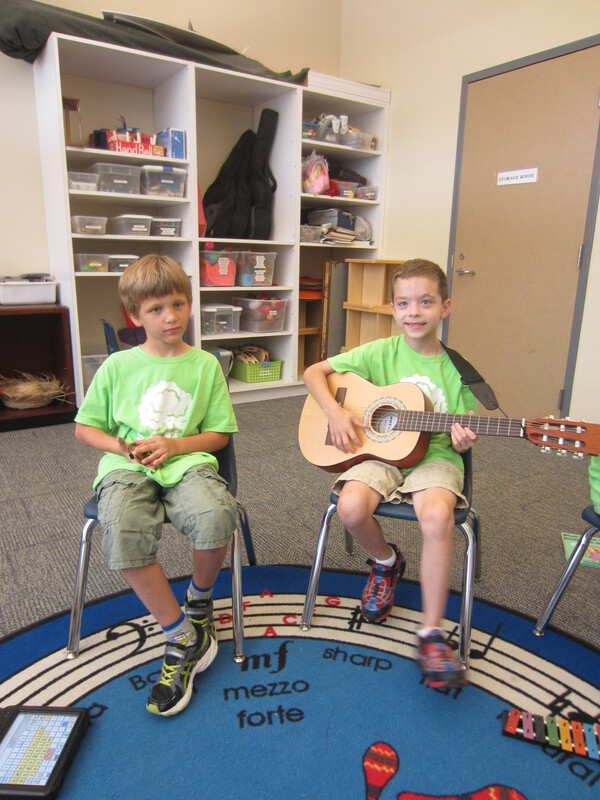 A few chose something they have been waiting to try while others chose their favorite instrument. I took all the pages and placed them into a binder to make our extended version of the book. 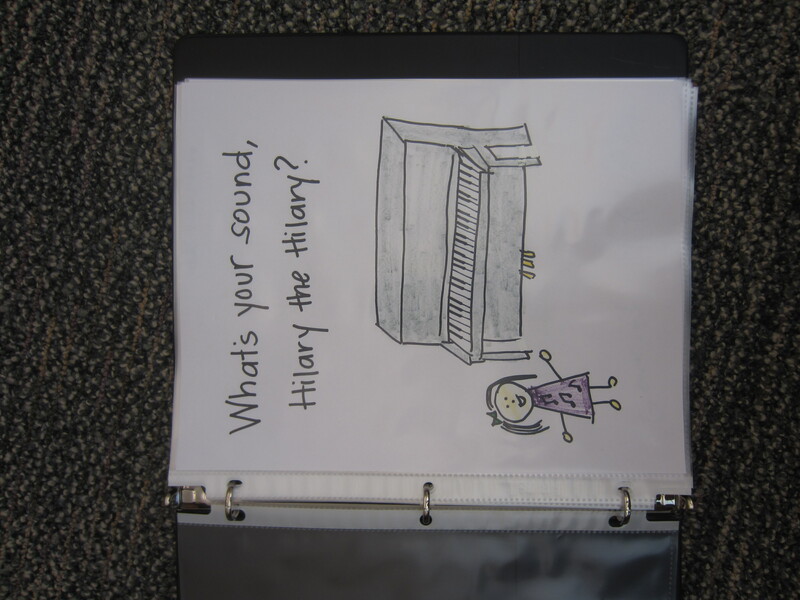 In addition, I gave students the instrument that they drew so they could make their very own sound. After a short time to figure out what they wanted to play, it was time to tell our story. We read our pages together and listened to each student play or show us their instrument. The Penguins were excited to read each others names and listen to the sounds of their friends. Through making our own book pages, students expressed themselves creatively in picture, instrument choice, and musical play. There were decisions to be made every step of the way and the students took the lead in figuring out what they wanted to say or asked someone for help. They were wonderful listeners as they took cues from the pages to whose turn it was and when to play. Our extended pages built upon group dynamics as students each saw that they are an important part of the story and each have a role to play. 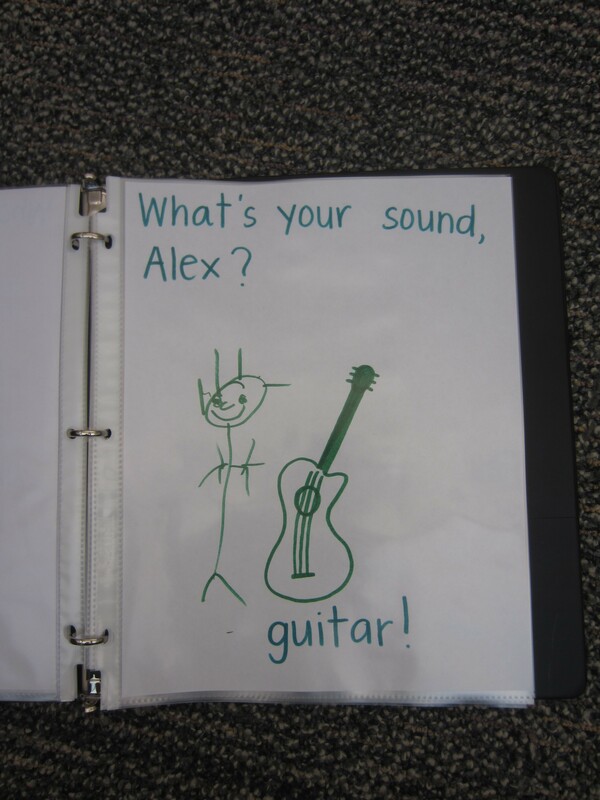 This entry was posted in Book, Camp Acorn 2013, Instrument Play, Penguins 2013 and tagged Book, kids' music, Mo Willems, Music Lesson, musical play. Bookmark the permalink.